This year for Memorial Day I decided to head to D.C. I had the day off and I found out that it was free to park at the metro stations on Federal Holidays so I figured why not? Plus there were two art exhibits I was desperate to see. I had envisioned beautiful weather, eating outdoors, sunshine, maybe sneaking a couple ice creams and plenty of art. The reality was that it was grey, rainy, started off cold in the morning, to unbearably hot in the evening. I didn't let that bring me down - even when the restaurant I took the metro all the way to Navy Yard specifically for was closed. The piece above is Truth Is Beauty by Marco Cochrane. The sculpture demands a change in perspective and to be a catalyst for social change. It is intended to challenge the viewer to see past the sexual charge that has been developed around the female body. It is intended to de-objectify women and inspire men and women to take action to end violence against women allowing both men and women to live fully and thrive. 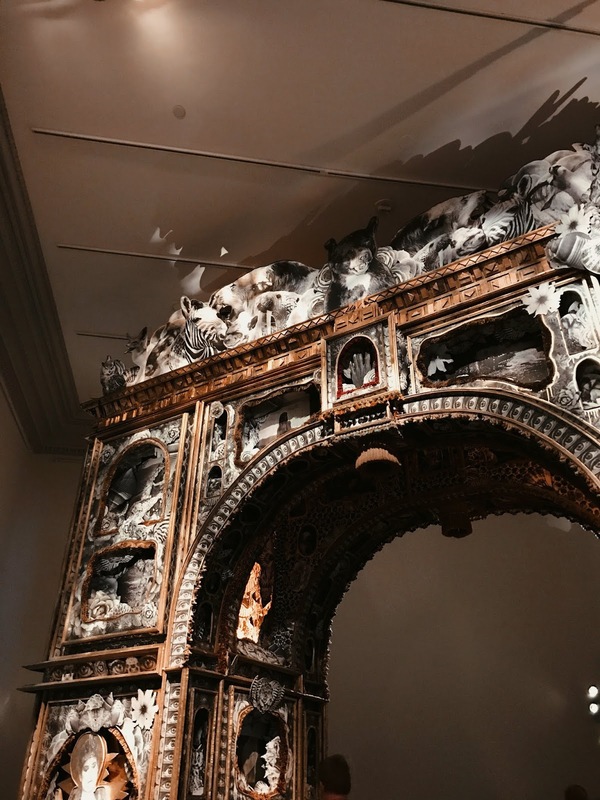 Paper Arch by Michael Garlington and Natalia Bertotti is a 15 foot tall installation made of wood, paper, fabric and found objects. It features concealed peepholes at it's base and covered in photos of people, flora, fauna, and Michael's mother's eye. The first art exhibit I wanted to see was No Spectators: The Art of Burning Man. My good friend Rosemary had seen it the week prior with her friend so I suppose I was piggy backing off her a little bit. While I love going to art museums with friends, sometimes it's nice to go alone and get to really spend as much time as you want with your surroundings. I did a couple loops around the No Spectators exhibit, and was glad I did because I would catch something new each time. 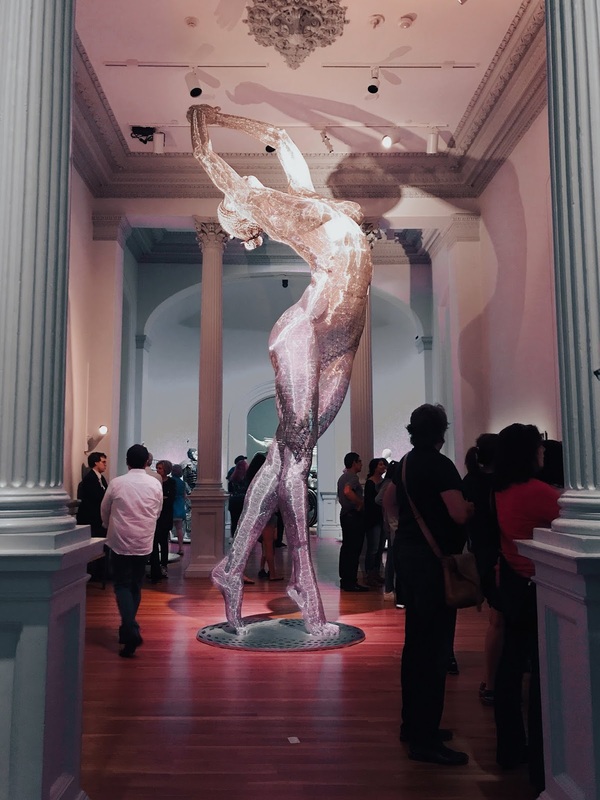 The exhibit is housed in the Renwick Gallery and takes up the entire building. Decommodification - create social environments that are unmediated by commercial sponsorships, transactions or advertising. Seeing these fantastic works of art in a museum feels "normal" until you are reminded that these pieces had to be built in or transported to.... the desert... that's in the middle of nowhere. And the fact that some are only seen by the people that are there for that one week. That thought makes them even more wondrous and truly a sight to behold and feel like you are catching a glimpse of something that normally would be only privy to a few. I won't bombard you with too many photos, (trust me I took a TON) there are many more works of art there than what I've chose to share here, but hopefully it'll convince you to make the trip to D.C. and see it in person before it closes. 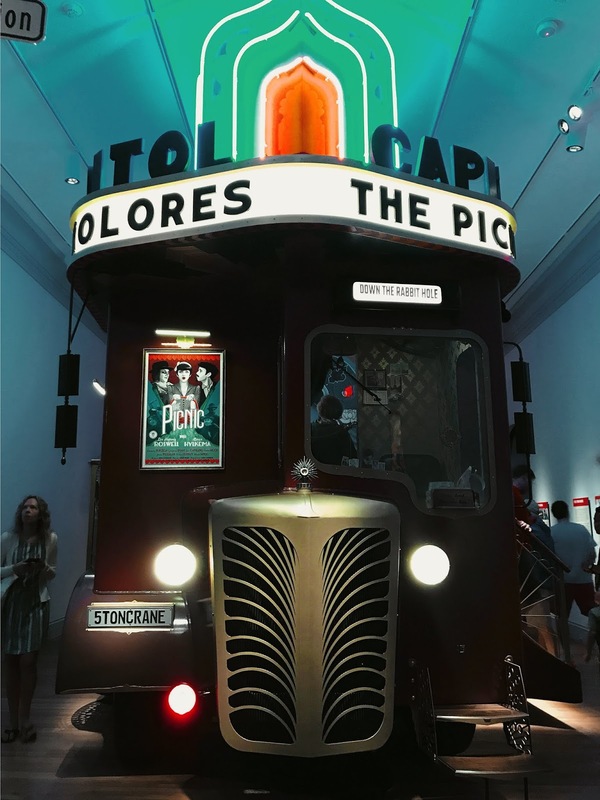 Five Ton Crane Arts Collective created this 1920s Art Deco movie theater on wheels named Capitol Theater. A homage to the world of silent film it is filled with delightful little details (check out the names of the candy behind the counter). 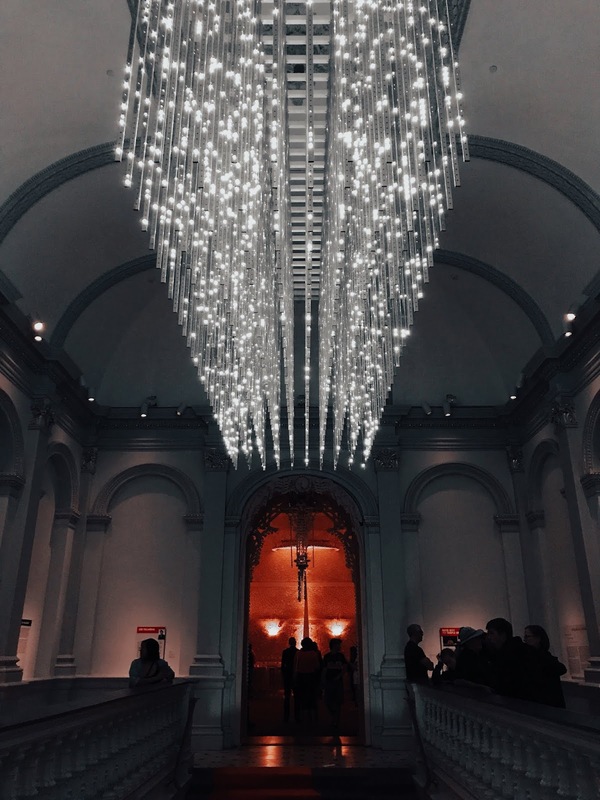 23,000 lights illuminate the grand staircase at the Renwick in Leo Villareal's Volume. LEDs are embedded in 320 mirrored stainless steel rods set to a customized computer program that illuminates the gallery creating the right brightness and tempo. 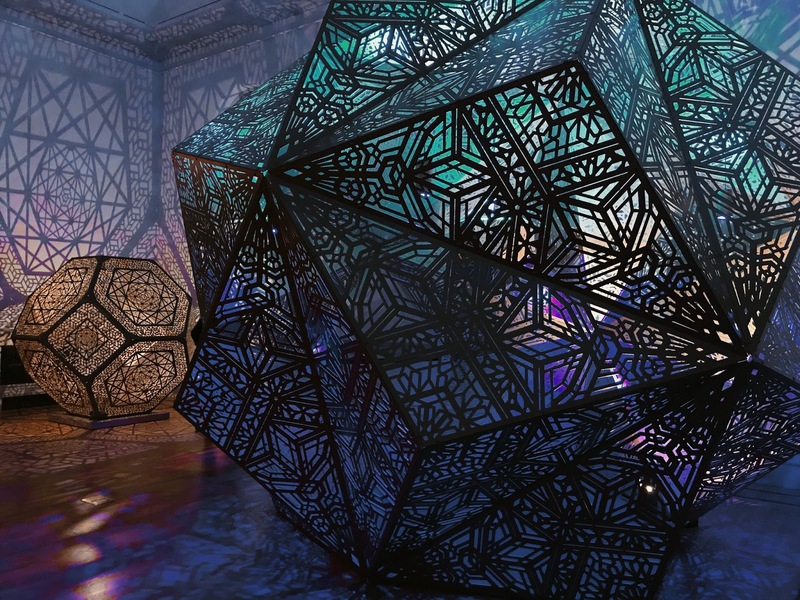 HYBYCOZO or Hyperspace Bypass Construction Zone creates large scale polyhedral installations inspired by the intersection of math, science, technology, geometry, material and light. David Best's creates Temples that unaffiliated with any religion and are free and open to the public. The guiding principle is to provide a place to pay respect and offer acceptance. One one my favorite pieces, which I couldn't really photograph since it involved sound, was Aaron Taylor Kuffner's Gamelatron: a fully robotic gamelan orchestra. I recommend watching this video to get an idea of what it sounds like. It's mesmerizing and beautiful. I 100% would love to go back and see it again, so if you want a museum buddy let me know! The Renwick is free so you have no excuses! The exhibit technically closes completely on January 21st BUT it is closing in two phases. So if you want the full experience I recommend checking it out before September 16th.